This applet displays the dynamics of two coupled FitzHugh-Nagumo systems. 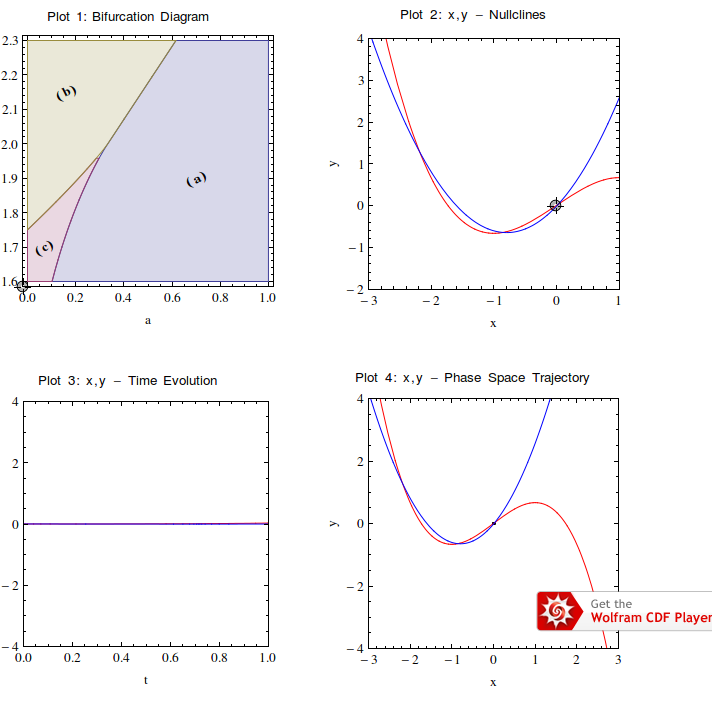 The FitzHugh-Nagumo system is a prototype model for an excitable, nonlinear, dynamical system. This program simulates the behavior of a subcritical Stuart-Landau oscillator in the uncontrolled case, in case of "delayed feedback control" and "extended delayed feedback control". The system has an odd Number of Floquet multiplicators. Hence, according to the in 2007 refuted odd-number limitation, a stabilization of the uncotrolled systems unstable limit cycle should be impossible if using the mentioned control methods. The refutation can be reproduced numerically by this program. The results will be visualized to the user by several figures. The chaotic Rössler system can be explored in a three-dimensional visualisation. Its characteristic parameters can be changed using Sliders. The parameter of the Lorenz equation can be manipulated while a the consequences are visualized in a spatial or phase plane as well as fourier-spectrum or autot-correlation. The oscillating VdP-oscillator is found in an closed, serial circuit with a capacitor, an inductor and a nonlinear resistor. It is a clasical non-konservative system with a stable limit cycle. Despite it's simple equations the logistic map allready shows many chaotic properties possesing only one parameter for manipulation. Here you can abserve the iteration in three different plots and explore the behaviour by manipulating the starting position and the free paramter. The bifurcations of the two-dimensional Hindmarsh-Rose model can be investigated with the help of this applet. A detailed discussion of the model can be found in: Dynamical Systems in Neuroscience. 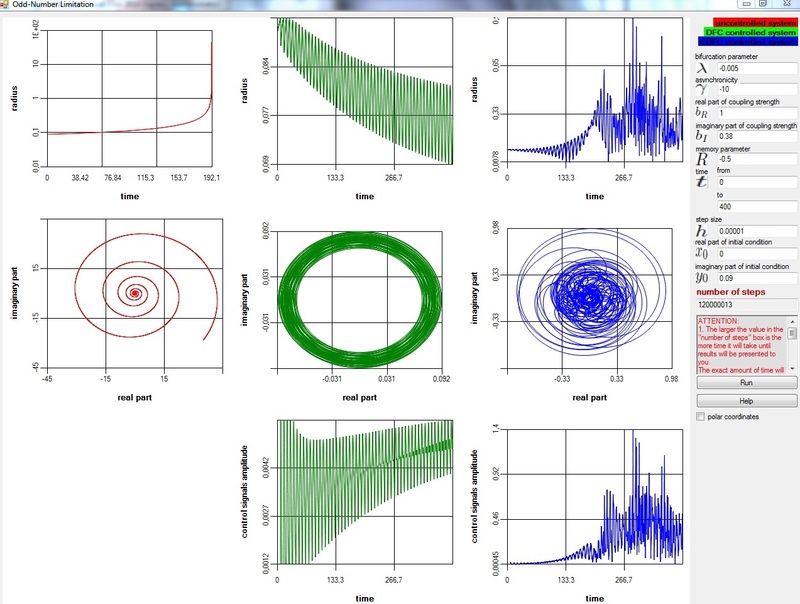 This free software package can visualize trajectories and trajectorie bundles of abritrary, self defined differential equations in three dimensions, generated from a parameter series. The Dynamics Solver tool can also be utilised on Linux, BSD or Mac OS X. Please use the wine programme to do so.